Young children often don’t like vegetables but learning about how they grow can spark an interest in them. 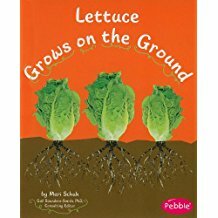 Mari Schuh’s book, Lettuce Grows on the Ground, presents facts about lettuce and relates it to other vegetables. Written for children ages four to eight, the sentences are simple and words and phrases are repeated to help young readers learn new words. It is part of a set, How Fruits and Vegetables Grow, that supports national science standards related to life science. The text presents basic information about lettuce enhanced with pertinent photographs. Young readers learn about the light and soil requirements of lettuce, that it is a cool weather crop, and that it produces flowers and seeds in hot weather. 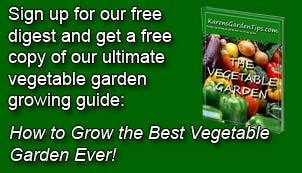 The author points out that kale, chard, and spinach are other leafy vegetables that grow on the ground like lettuce and that cabbage, broccoli, and cauliflower grow close to the ground too. End notes provide a short glossary of key terms, a list of additional books and an internet site for further investigation. To buy Lettuce Grows on the Ground from Amazon.com Click Here.